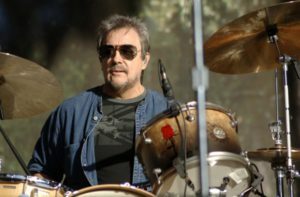 James Lee “Jim” Keltner (born April 27, 1942) is an American drummer and percussionist known primarily for his session work. He has contributed to the work of many well-known artists. Keltner is originally from Tulsa, Oklahoma. 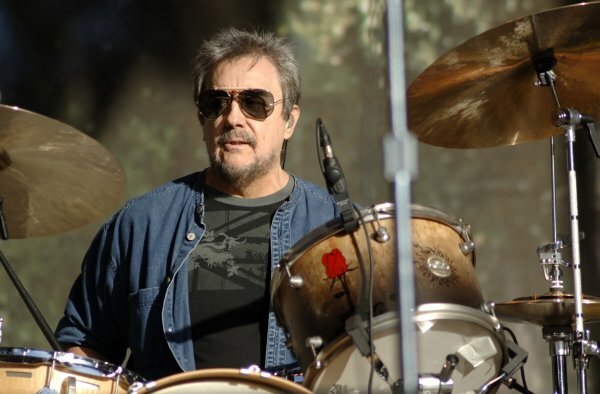 Jim Keltner was initially inspired to start playing because of an interest in jazz, but the popularity of jazz was declining during the late 1950s and early 1960s, and it was the explosion of pop/rock in the mid-1960s that enabled him to break into recording work in Los Angeles. His first gig as a session musician was recording “She’s Just My Style” for the pop group Gary Lewis and the Playboys. Keltner’s music career was hardly paying a living, and for several years at the outset he was supported by his wife. Toward the end of the 1960s, he finally began getting regular session work and eventually became one of the busiest drummers in Los Angeles. His earliest credited performances on record were with Gabor Szabo on the 1968 album Bacchanal. It was his work with Leon Russell playing on Delaney & Bonnie’s Accept No Substitute that attracted the attention of Joe Cocker, who recruited Russell and everyone else he could out of the Delaney & Bonnie band for his album Mad Dogs & Englishmen. Playing with Joe Cocker led to work in 1970 and 1971, on records by Carly Simon (Anticipation), Barbra Streisand (Barbra Joan Streisand), Booker T. Jones (Booker T. & Priscilla), George Harrison (The Concert for Bangladesh), and John Lennon (Imagine).